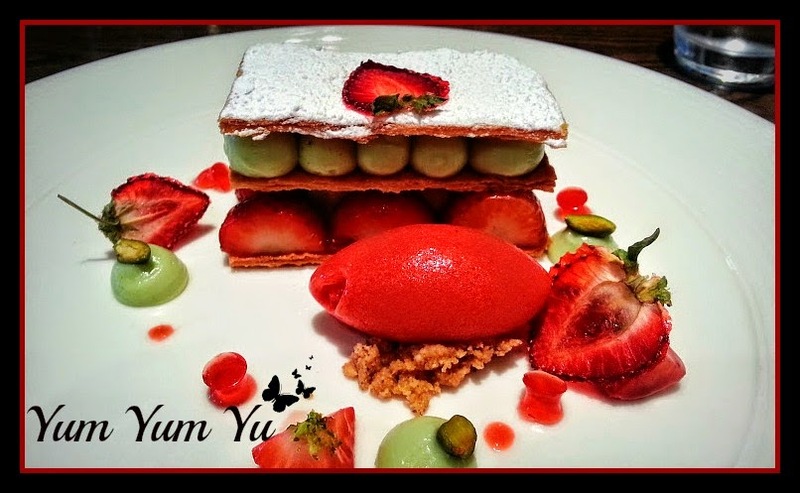 Yum Yum Yu: Whiski Rooms - As good as everyone makes it out to be? Whiski Rooms - As good as everyone makes it out to be? I have gotten in to the habit of looking online to see restaurant websites and reviews before visiting them just so I can have a scan of their menu and have some sort of expectation of the place. The Website to the Whiski Rooms didn't wow me but the lunch menu looked decent with a good mix of meat and vegetarian dishes. The reviews (on TripAdvisor) seemed to make Whiski Rooms sound like an awesome place to have a nice meal, although I have learnt not to trust TripAdvisor too much as most of the time people reviewing on it are either there for a good moan or are there to promote their own businesses with bogus reviews. As this meal was for celebrating a good friend's birthday and it was his idea to pay the Whiski Rooms a visit, myself and M thought it would be a good opportunity to try somewhere new. Whiski Rooms - an apt name for a place that boasts on its own whisky bar and shop, specialising in Scottish craft beers and of course, the whisky. They even have a restaurant, which one assumes would showcase fantastic Scottish produce. The day we went to Whiski Rooms it was bucketing it down and by the time we had walked from the castle down to the restaurant we were drenched and ready to tuck in to some good grub. The place is not far from the castle but in a heavy downpour and with no umbrella, it seemed like it took us forever to get there. We were greeted by a polite and well dressed waiter who led us in to the restaurant side and as we were sat down, a very friendly waitress took over and handed us the menus. The restaurant side was well lit, tables and chairs seemed to be clean with the full length window that looked out on to the street, it gave the illusion the restaurant was much bigger in size than it actually was. For drinks, the boys opted for craft beer and I had a non-alcoholic Mojito which was very flavourful, if a tad on the sweet side and they had added so much ice/garnish that there wasn't much liquid in the tall thin glass. We weren't sure if we wanted to spoil our mains by having a starter each so we ordered the Artisan bread served with extra virgin olive oil, olive tapenade and butter. When it came, it looked pretty good with the thick slices of bread, already lightly drizzled with extra virgin olive oil and laid nicely on the board with the accompaniments in small dishes on the side. The bread reminded me slightly of supermarket "artisan" breads because they felt a little on the stale side and the crust wasn't very crisp, more chewy. Maybe it's supposed to be that way and that it just wasn't to my liking, but when I asked M later on in the evening he said that the bread was a bit of a let down. Phew! It wasn't just me then. They may as well have just served us sliced white bread and butter like they did in the old canteens/cafes - remember those? No? I'm showing my age now, let's move on. Main Course - Things could only get better. Right? My friend went for the haggis burger, M decided to go for the breaded and rolled haddock i.e. fish and chips, and then there was me being the ever indecisive one who couldn't decided if I wanted steak and ale pie or a classic burger. Steak and ale pie, most of the time, is a sure win but then I hadn't had a good burger in a very long time so burger it was. I must admit, I am getting much quicker at this decision making malarkey - although I am sure the decision came quickly due to the fact that the waitress had already come over twice to check if we were ready to order. When the food came the portions seemed a decent size and it all looked quite nice but M wasn't chuffed with his haddock as he found it very small and in order for there not to be any tension I forced him to swap with me before he started tucking in to it. The haddock did look a tad on the small side but I always agree with quality over quantity and in this case, it was neither. Don't get me wrong, it looked appetising and I was very much looking forward to it after the swap but as soon as I went to cut in to the fish the breadcrumb coating fell apart and it was all a bit dry from having been overcooked. Rolling the haddock makes the haddock seem like a much meatier fish than it actually is but once you overcook it the meat tends to crumble. I have had better breaded haddock from a fish and chip shop if I'm honest. The tartare sauce was nice and chunky but the mushy peas were...well, just mushy peas. M told me his burger bun was very dry and that his dish was very mediocre; now considering it is £9.95 for that dish I would be expecting it to be able to satisfy any burger craving. I don't expect anything fancy but a good burger needs a good bun and if you can't do that then I would rather it came with no bun at all. A good comparison would be to the Meat House in Dundee where you can have a burger and triple cooked chips for £9. Their bun is a beautifully toasted brioche bun and the triple cooked chips are very fluffy inside. The fries in Whiski Rooms were your usual frozen skinny fries that have been put through the fryer and I'm sure the chips from the Meat House were frozen too but they were pretty damn good. Now I know that they will probably have higher rates to pay (although rates in Dundee are atrocious now too ) but there are pubs in the same area that make better burgers than the one we had here in the Whiski Rooms. Yes, you are probably thinking, "why order a burger in such a nice looking establishment who are clearly aiming to serve customers that are maybe of a higher standard?" Because if they were really looking to serve people with higher standards, they wouldn't make their menu look like a pimped up pub menu. Now since this was for a birthday, we decided to go ahead with desserts to finish off the meal but nothing on their dessert menu screamed, "EAT ME!" so I settled for the lemon possett and the other 2 went for sticky toffee pudding. They were hoping to get some chocolate cake but no chocolate cake featured on the menu, not even a chocolate fondant or a chocolate souffle. As the possett was put down in front of me, I noticed straight away that the shortbread on the side was very small, but it tasted very buttery and moreish. I then noticed that there was a finger dent in the top of the smooth possett from where the chef went to garnish it with a sprig of mint. If I could see this, surely the chef or waiter would have noticed it before it got to me or was it that they did notice it but didn't care? There was also a trail of gloopy stuff which I gathered was the mango and lime salsa. The possett tasted quite nice, a slight sharpness followed by a smooth mellow creaminess but there was a lot of it and not enough shortbread to give the dish enough texture so once the shortbread was finished I could only manage a little more of the dessert and then I had had enough. It was like eating an extremely thick lemony yogurt that coated the inside of my mouth each time I took a spoonful of it. Shame as I hate wasting food. The sticky toffee pudding had a slight chewy hardness to it, not from the toffee mind but from being in the microwave for too long. It wasn't so much that it was heated in a microwave that bothered us but that they had probably not kept an eye on the pudding once it was in the microwave. We asked for a pot of tea to go with my dessert...yes nothing should go wrong with it and there was nothing wrong with the tea, but I did have a problem with my milk being served in a dusty metal jug. Myself and M have worked/still work in the catering trade and the establishments we worked in have ranged from pub to buffet restaurant to 5 star hotel restaurant and never in any establishment would we dare to serve anything in dusty crockery. So why did we not send food back? Why did we not complain and pull them up on the dusty jug? Because this was our good friend's birthday and his choice of venue to have his birthday meal, I was not going to complain and make everything awkward for him or for us, so I bit the bullet and kept a mental note to not bother returning in the future. Not saying that all the reviews are lying but I certainly had a very different experience to most others at this tourist trap. They are probably very good for a drink and chat with friends on the other side of the premises but for food? No Thanks. Note: I don't take any satisfaction in writing bad things about restaurants (because I know what it's like to run an eating establishment) but being honest is important and it wouldn't be fair to just post good reviews all the time. 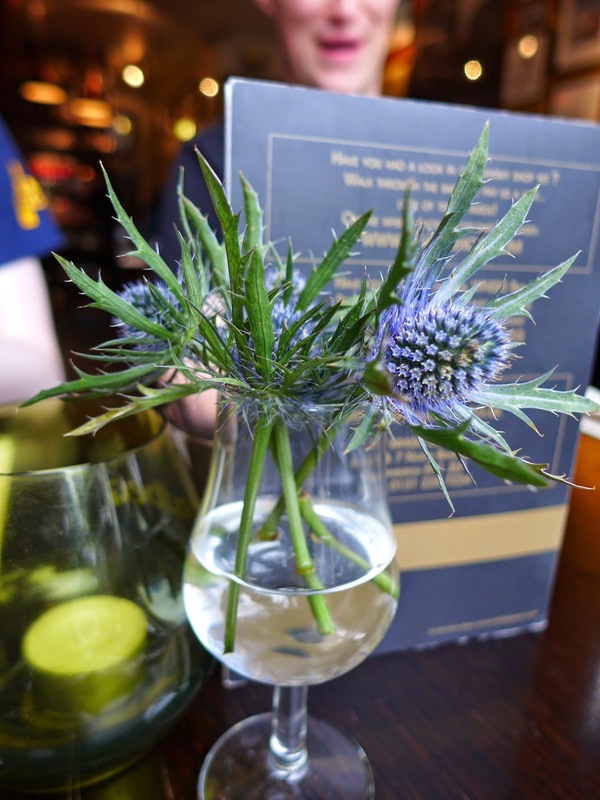 I went to Whiski rooms with the intention of writing positive things, this is why I took the food photos but it has taken me ages to write this post because I have been constantly going over my choice of words so as not to sound like such a horrible, crabby woman.